I needed an “arty” type card for a stamping friend. Yesterday before I left for work I quickly put this together and got it in the mail. 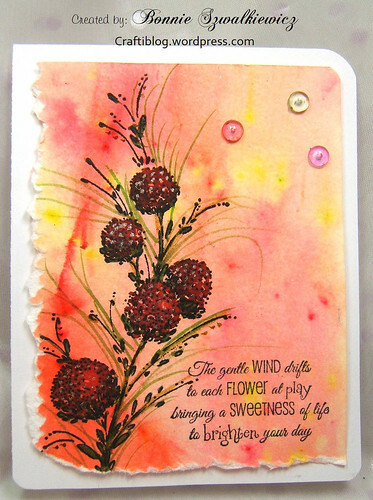 The background is water color paper colored with Color Burst pigment powder in yellow and tangerine. I sprayed the dickens out of it with water to get this nice wash look. I think these are called rain drops. I added three of them to the card, each in a different pastel color. 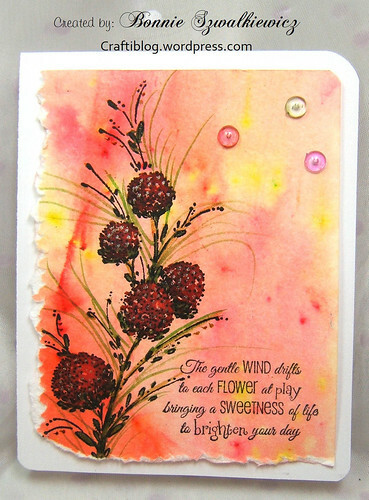 The stamped branch is by Penny Black from the set delicate florals. You made such a lovely background with the Color Burst colors! Very pretty card! 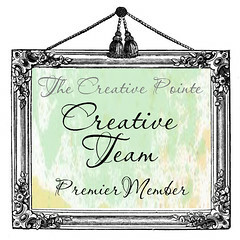 Really pretty card; who makes that stamp, Bonnie? The branch is a Penny Black stamp from the set Delicate Florals. 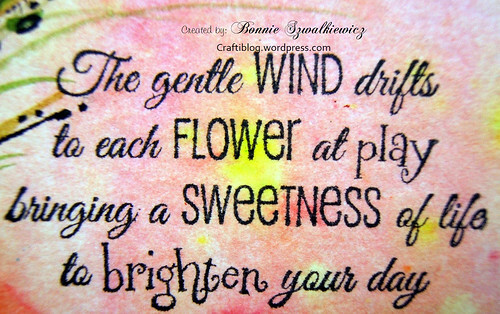 The sentiment is by Rubbernecker from the set Flowers in the Breeze. 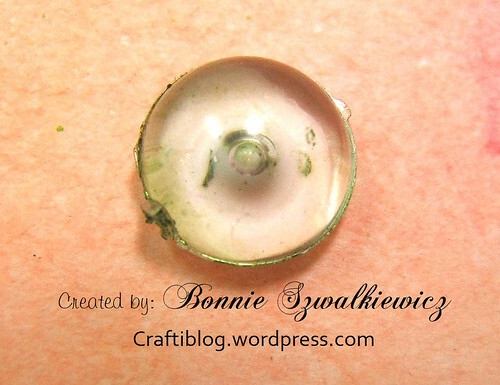 I rarely use the other stamps in the floral set…this one is just so pretty!